Dreaming of a bed that looks the business but lets you sleep like a baby? We have the answer. 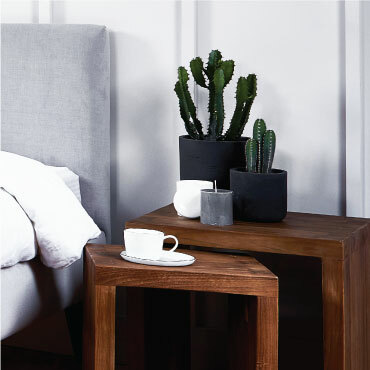 Raft’s reclaimed teak gives a distinctive stylish feel to your bedroom furniture, but is made with stability, durability and your comfort in mind - so you can sleep easy at night. With wardrobes, chests of drawers and bedside cabinets to suit your storage needs, you’ll look forward to going to bed every night.